Britain’s Parliament is deadlocked over plans to leave the European Union. The country’s ruling Conservative Party is fractured by an undeclared leadership contest. Opposition parties are baying for an early general election. 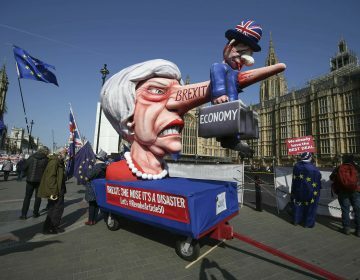 A power vacuum has paralyzed the heart of Britain’s government, dismaying both the European Union and the British public. In the next two weeks, British Prime Minister Theresa May will lead the U.K. through domestic and international negotiations that will decide the fate of Brexit and determine the future of generations. Her task, as it’s been for almost three years, is to bridge the increasingly bitter divide that separates those who want to sever links with the EU and those who want to keep the ties that have bound Britain to the bloc for almost 50 years. While Justice Secretary David Gauke said Sunday the government would have to “very carefully consider” the wishes of Parliament, he also said May’s EU divorce deal is still the best alternative. Gauke said the prime minister was “reflecting” on the possibility of bringing it back to Parliament for a fourth vote. If the government can’t bridge the gap by April 12, Britain will crash out of the EU without a plan for future relations, damaging its economy, undermining the country’s unity and diminishing its stature in the world. 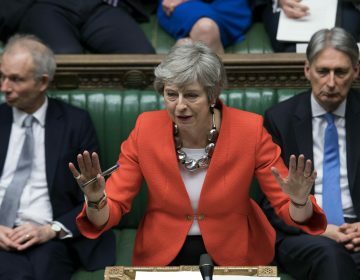 May’s political weakness stretches back to when she took office in July 2016, less than a month after Britain voted 52 percent to 48 percent in favor of leaving the EU. 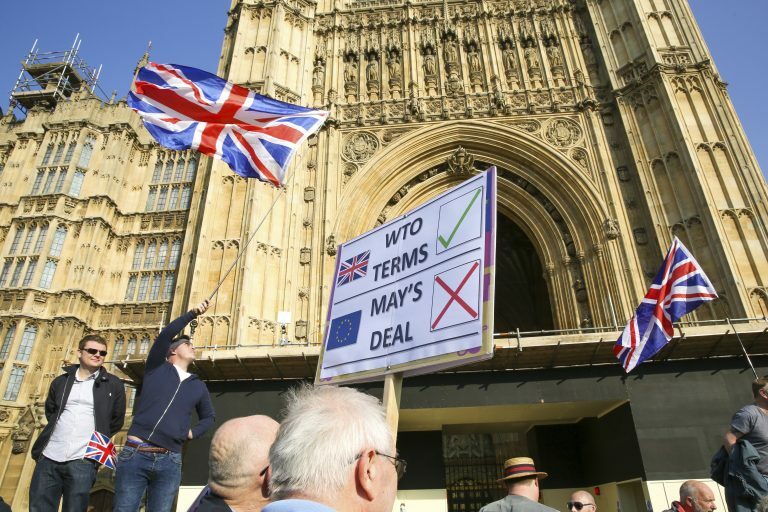 Despite the close result on such a momentous decision, May did little to build consensus about what Britain’s departure from the world’s largest trading bloc should look like. Then, seeking to bolster the small majority left to her by her predecessor, David Cameron, May called a disastrous early election in which she lost 13 seats. That left May as the leader of a minority Conservative government and forced her into an alliance with Northern Ireland’s Democratic Unionist Party. But Brexit cuts across traditional political lines. Both May’s Conservatives and the opposition Labour party are split between those who want to sever links to the EU and those who want to remain close to the bloc. Even so, May has been reluctant to reach out to Labour for fear of deepening the split in her own party. Complicating the equation is the staunch opposition of May’s erstwhile allies in the DUP, which refuses to back her Brexit withdrawal deal because it treats Northern Ireland differently than the rest of the U.K., and the Scottish National Party, which wants to remain in the EU. Even if May is able to secure a withdrawal deal, more negotiations lie ahead because Britain and the EU still need to work out exactly what their future relationship will look like. 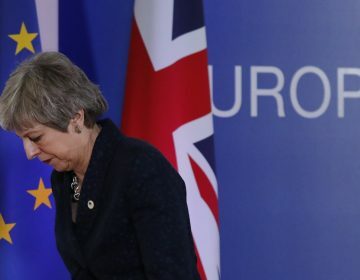 In an effort to win support for her deal, May said she wouldn’t lead those talks. Alistair Burt, who resigned as foreign office minister after voting against May’s Brexit deal, told Sky News he didn’t think a new election would be helpful. Theresa May faces growing pressure from within her own party either to resign or to set a date for stepping down as a way to build support for her Brexit agreement. Theresa May also cautioned that if lawmakers failed to back her deal before Thursday's European Council summit, "we will not leave the EU for many months, if ever."